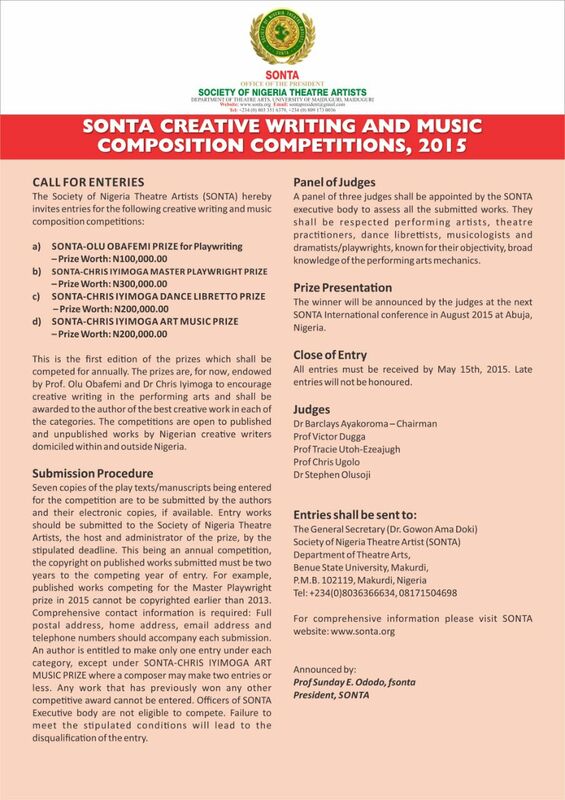 This entry was posted in Arts, Competition, Music and tagged africa, art, call for entries, competition, creative writing, literature, music composition, Nigeria, prize, SONTA by africanrenaissancetheatre. Bookmark the permalink. Reblogged this on Pintowski's Blog.